Hockey Plumber: NHL Cap Charity: Lending a Hand To Those In Need of Space. NHL Cap Charity: Lending a Hand To Those In Need of Space. It's the wacky-wild free agency period for the NHL. However, it has been unusually subdued since the second day; and everyone is talking about money and the the cap. According to Pierre LeBrun of ESPN on Wednesday, the agent for Simon Gagne has been given permission by the Flyers to talk directly to teams about a trade. Like the Canadiens and Scott Gomez last season, what would motivate teams to help out other teams who have mismanaged the cap? The answer to that question is simple: More cap mismanagement by the receiving team. It would take an awfully idealistic person to believe that the teams that take on the bad contract were just blindly optimistic that the player would live up to their contract already in place... but for the fact that said player already has a track record of underachieving. Gomez is the ultimate example. Coming off a career season in New Jersey, the Rangers scrambled to sign him long-term based on his recent output. As the years ticked by and Gomez never again matched his final season with the Devils, it became obvious that New York had made a grievous mistake. 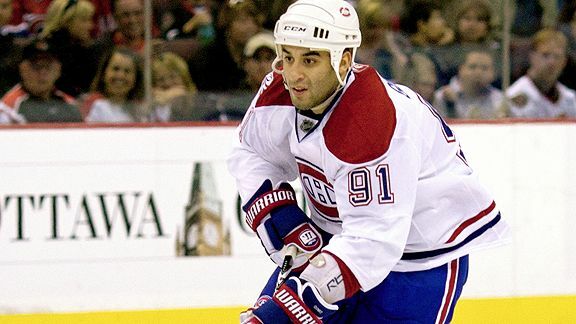 However, what was worse, Bob Gainey agreed to take on Gomez's deal which not only seemed like a gift for the Rangers, but also paved the way for New York to bring in super sniper Marian Gaborik. What was Montreal's reason for doing this? Sheer lunacy. Nothing else. 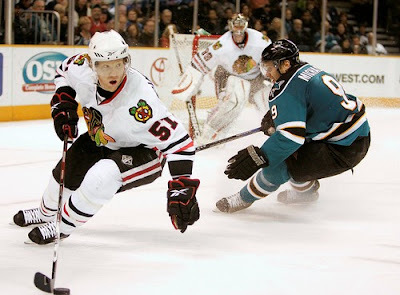 Every team that Chicago approaches regarding taking Brian Campbell off their hands, they are asking teams to be the Gainey-led Canadiens again. It's a borderline insult! Gagne's contract is much less offensive than that of Campbell's for a number of reasons. 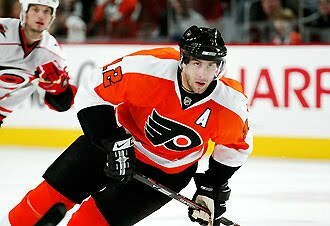 Although counting more than $5 million against the cap, Gagne has only one year remaining on his current deal. He also is only considered overpaid due to the fact that he is injury prone, not because of on ice performance. However, making a deal for Gagne means doing some charity work for the Flyers, who have spent themselves into a corner this off-season. If a team that makes a deal for him, it must accomplish one of two scenarios in acquiring him. 1. Get him for a low round pick/ future considerations. In other words: noting. or 2. Unload an undesirable, but less expensive contract in the trade. Anything more is overpayment, and doing a favor to the Flyers. The general idea here: Don't make it easy on teams that can't manage the salary cap. Yet, if you must, don't overpay for a guy who is overpaid.